Studetns draw a picture that shows fantasy. 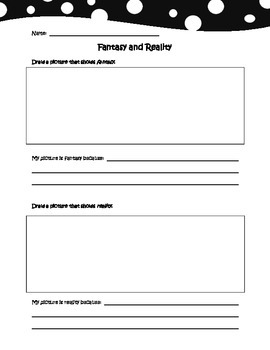 They then explain what makes their picture a fantasy on the lines below their picture. They do the same for reality.